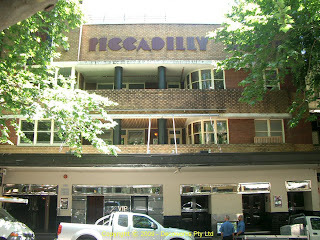 The Piccadilly Hotel at 171-173 Victoria Street, Kings Cross, was constructed in 1939 for Brewers, Tooths and Company which replaced a previous hotel on the site called the Austral Club Hotel. 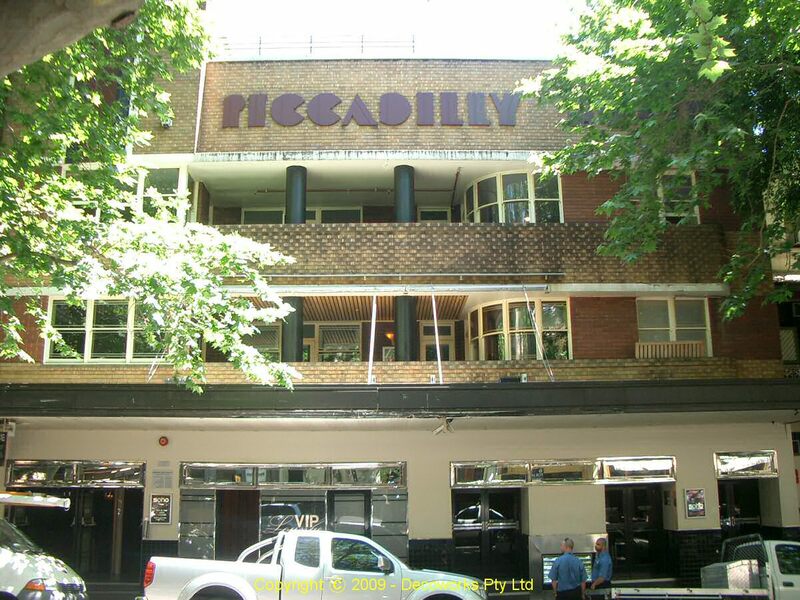 The Piccadilly hotel is a fine example of an Inter War Functionalist style building designed by prominent architects Provost and Ancher. 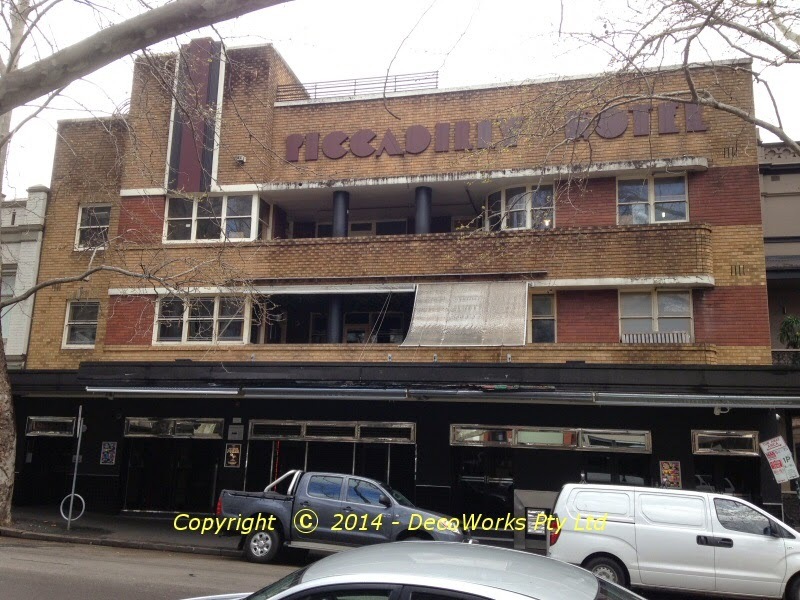 Below is another photo taken in winter which shows more of the facade which is usually hidden by tree leaves. 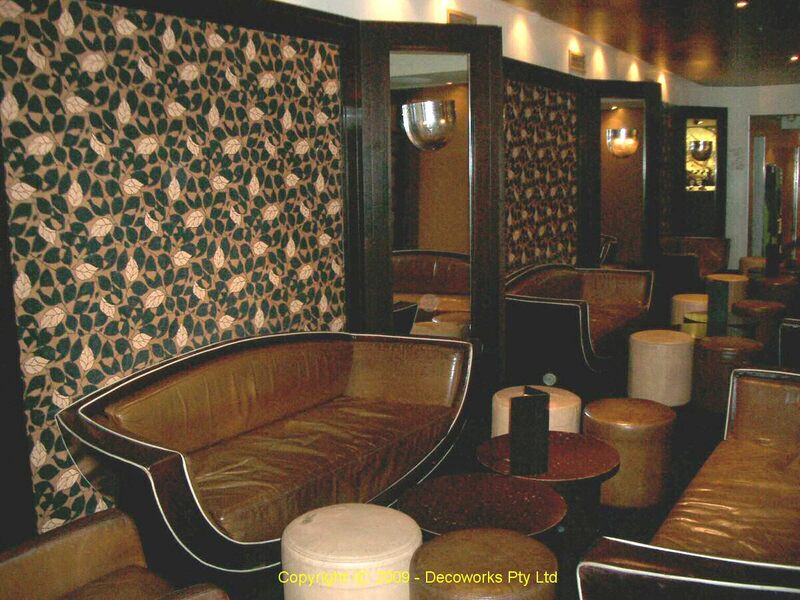 The downstairs lounge area is the well known Soho Bar. It is decorated with a very Art Deco feel as illustrated in the photo below.